A special fundraiser to help raise money for New York pets effected by Hurricane Sandy is coming up this Wednesday, November 7th at 8pm. If you’re in Greenpoint, stop by to meet some fellow animal lovers, listen to some great music and support a much good cause! 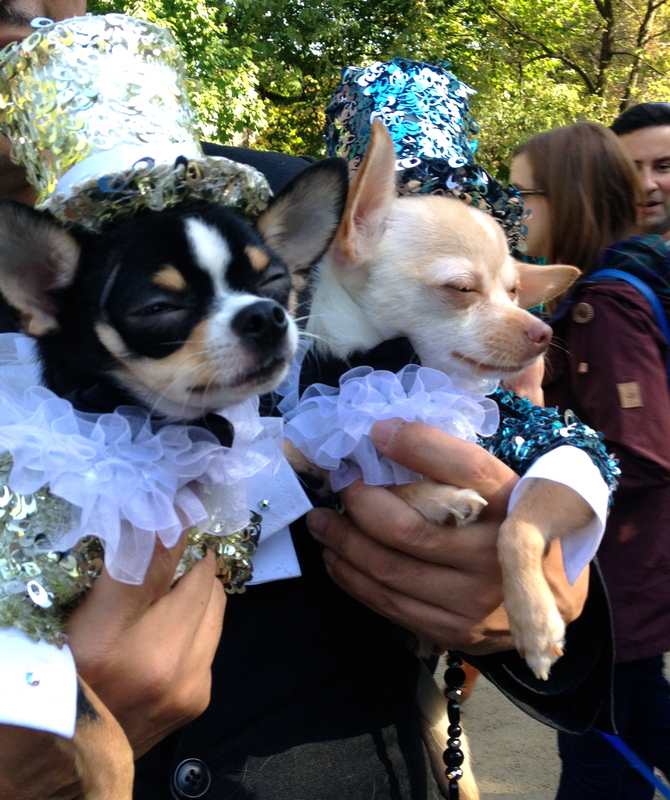 East Village Tompkins Square Dog Parade – Perfect Weather, Perfect Dogs. 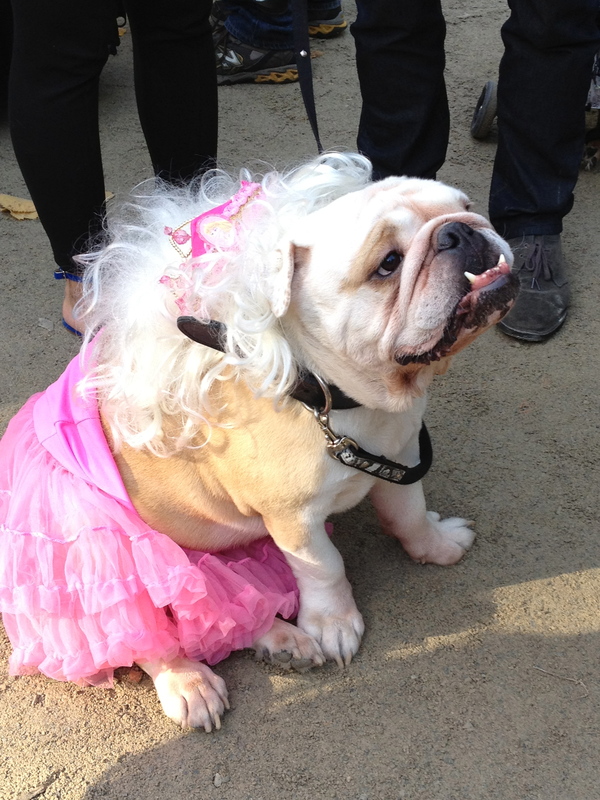 What do you get when you combine dogs, Victoria Secret models, aliens and drag queens? 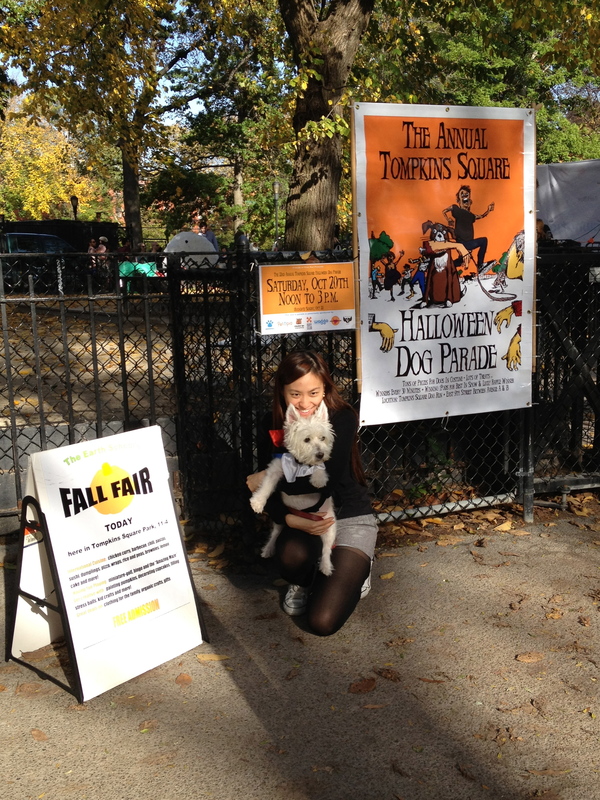 The Tompkins Square Halloween Dog Parade, of course! 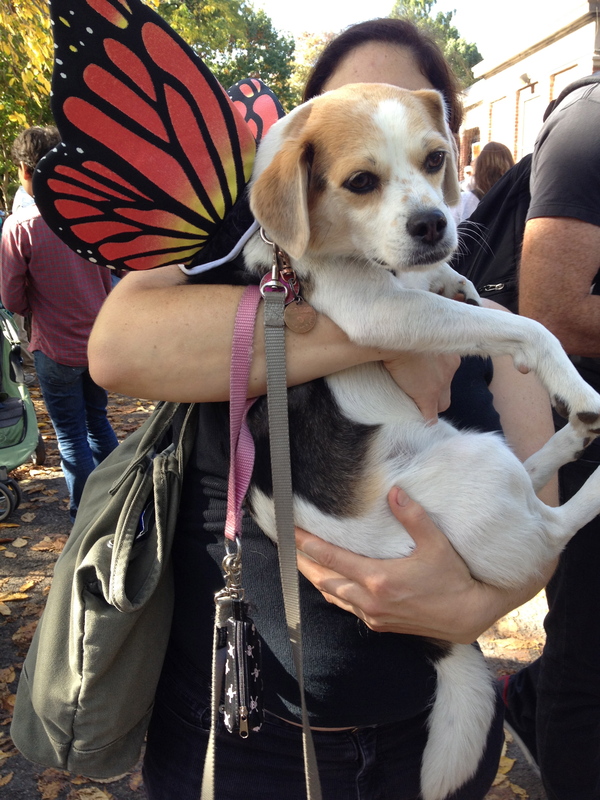 I know we’ve been writing a lot about dogs and Halloween, but we just had to share some more photos from this years event. Great day to get out and do something fun with your dog. 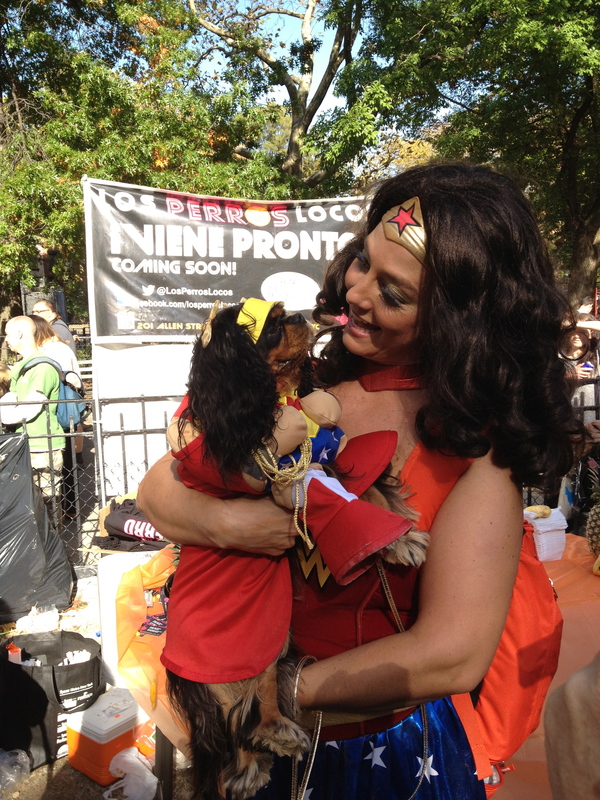 A week and a half before Halloween, the event had perfect weather, smiling faces and a ton of dogs dressed to impress, make you giggle and appreciate how dogs can bring people together. People of all ages and backgrounds took pride is getting their dogs in the spotlight and a chance to win some fun prizes from local dog companies like EverMore pet food and Barkbox.com. 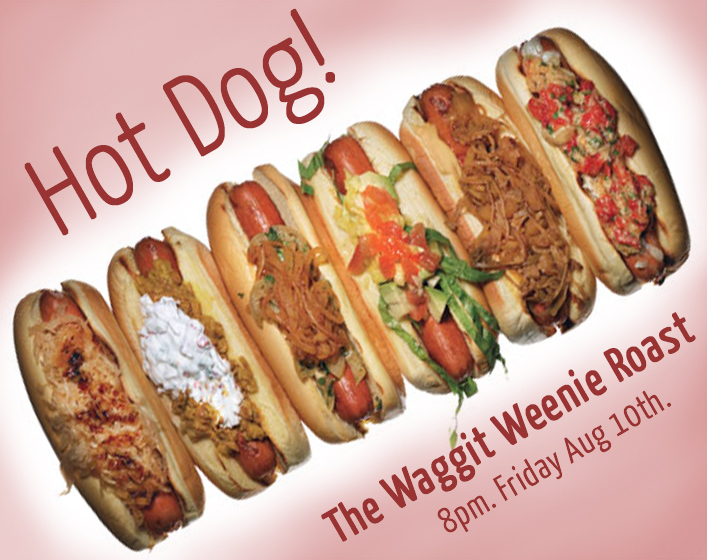 The $5 admission fee went towards maintaining the dog run as one of the most well kept dog spots for the folks in the East Village. A good cause and some great fun. Can’t wait till next year. Be warned, the cuteness factor is off the charts. 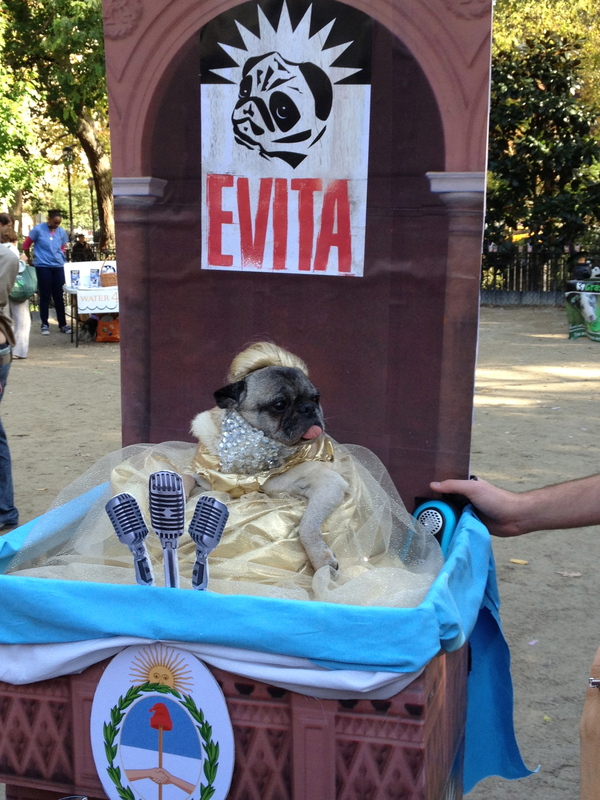 Don’t Cry For Me Argentina – the truth is – this dress itches. Do you think he’s got skeletons in his closet? You are getting sleeeeeepy. Very sleeeepy. I’m not sure the wings could support a successful flight. Honey, you never looked better. They could both do a Pantene commercial. Have we met? You look familiar. Hide yo kids, hide yo wife? For more photos, checkout our Facebook Album. 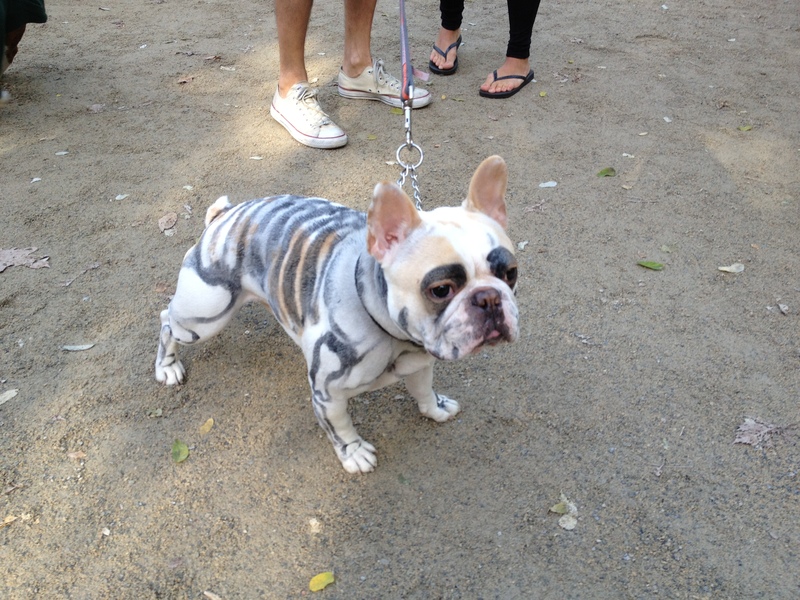 Are you and your dog prepped for the actual day of Halloween? 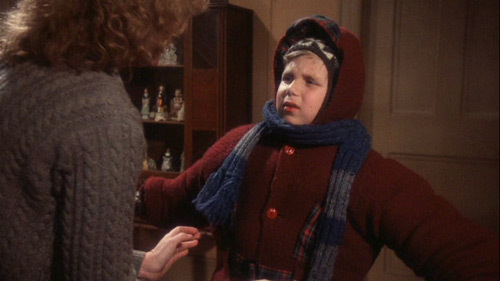 Alright New York, get our your Stilettos and sunglasses. Fashion week is coming. The dates are Sept 6-13th. New York City prides itself on New York Fashion Week. It’s our chance to highlight the best new fashions trends and celebrate textile creativity with a bonanza of fun events. Think sipping champagne with Vera Wang and seeing Karl Lagerfeld drawing crowds in Soho. 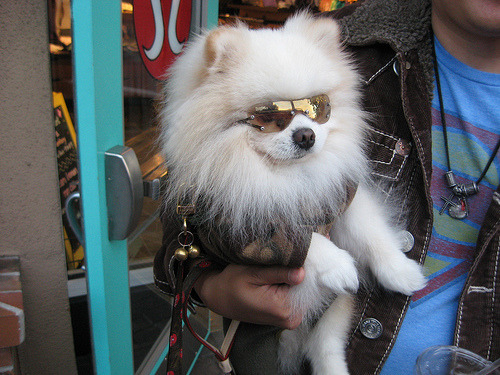 But did you know that NYC also boasts a Pet Fashion Week? 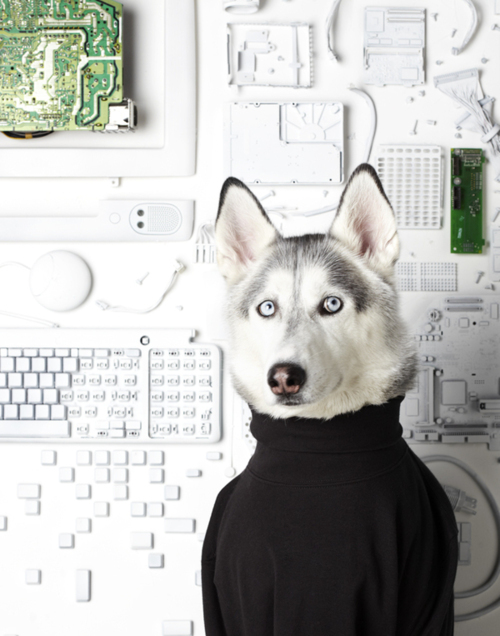 Showcasing new trends in pet fashion, the event not only happens in New York, but around the world in other fashion hubs such as Sao Paolo, Brazil. 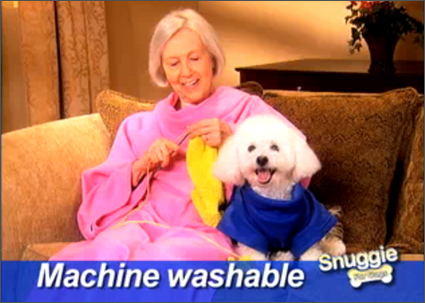 Now, many of us, probably can’t boast having a super fashionable dog, nor have the resources to spend a pretty penny on the accessorizing or dressing up our pets, but there are always ways to have a good time with your beloved pets appearance. So run out and have a fashion day with your dog and some play mates! Be sure to bring the camera and let us know how it went. We’d love to hear some funny stories and share your photos!